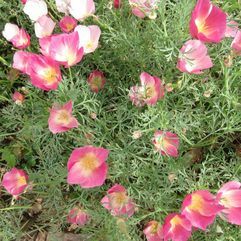 This is a lovely poppy which is known as an annual, but ours aren't. Ours are coming back beautifully. So we are calling it a perennial. 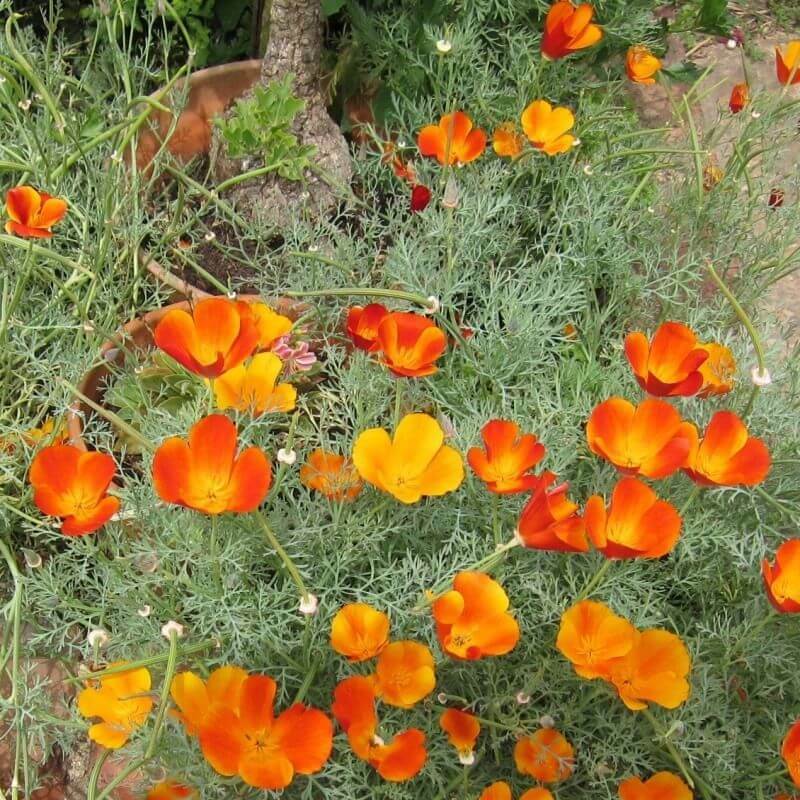 These burnt orange and yellow little lovelies flower between September and April, tolerate full sun and are a happy plant for those long summers. Born from the USA and Mexico, these plants are tough.